Big Bexar Septic provides Septic System Maintenance Contracts San Antonio can count on. Always on schedule and like clockwork Big Bexar Septic will Pump and clean your septic tank. Check scum levels and washouts and perform any other septic system maintenance required during our scheduled service call. 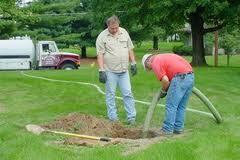 Big Bexar Septic can stop septic system clogs with proactive maintenance of your septic system. The process involves pumping out waste-water and solids to verify that all components of your system are intact and operating correctly. This maintenance period should not exceed 3 years. The peace of mind in knowing that your septic system is being maintained by experienced professional septic system technicians is priceless. Not having to worry when your relatives are due over for Thanksgiving whether or not your system is running in tip top shape can keep your mind at ease and septic system maintenance contract is there to count on. With Big Bexar Septic backing you up, your septic tank will run smoothly. Checking your drain field is a valuable component in Big Bexar Septic’s septic system maintenance contract. Maintaining a healthy leach field, can prevent a potentially huge expense of repairing septic systems drain field.